Come What May: "She's Been Working On The Railroad..."
"She's Been Working On The Railroad..."
Paige came 'home' last night to spend the weekend with us. 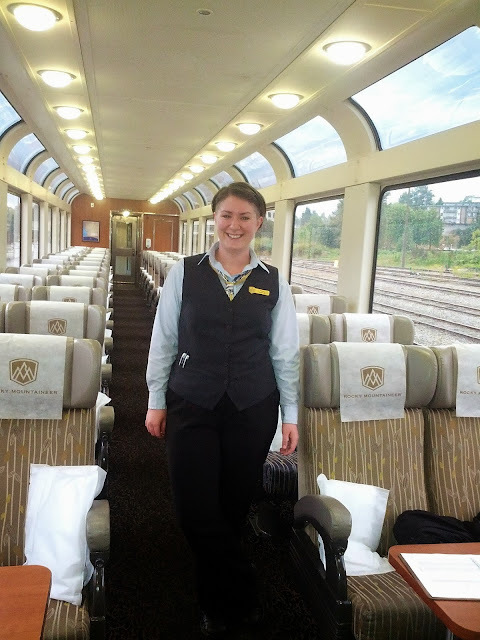 Her seasonal job as a host on the Rocky Mountaineer Train ended this week after 6 months of incredibly hard work. Her job involves making sure thousands of tourists from all over the globe have a fabulous time while riding in her coach. Serving drinks, food, and basically catering to the never-ending needs of her guests. And most importantly, teaching her passengers about the plants, animals, waterways, topography and history of British Columbia, Canada and the railway that tied them together. 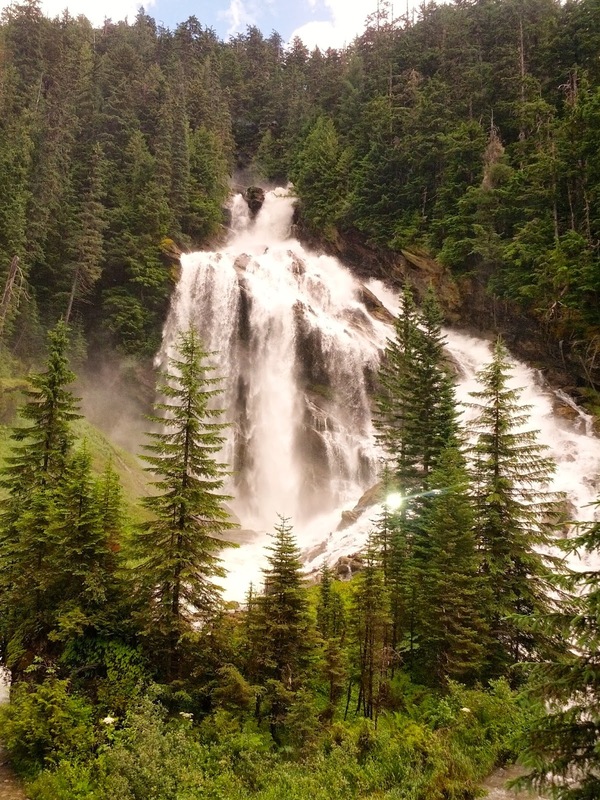 Pyramid Falls which can only be seen from the train. Paige loves her job. She's been doing it for three years now. She is very good at it. And nothing makes a parent prouder than a happy child doing what they love. 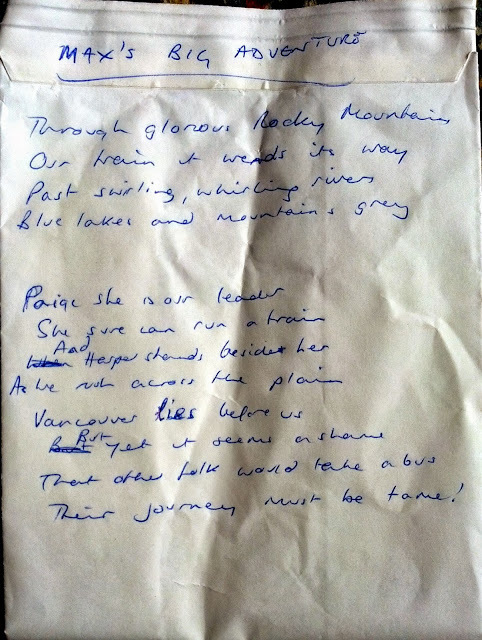 Paige gets mentioned in poems guests write for an onboard poetry writing contest. 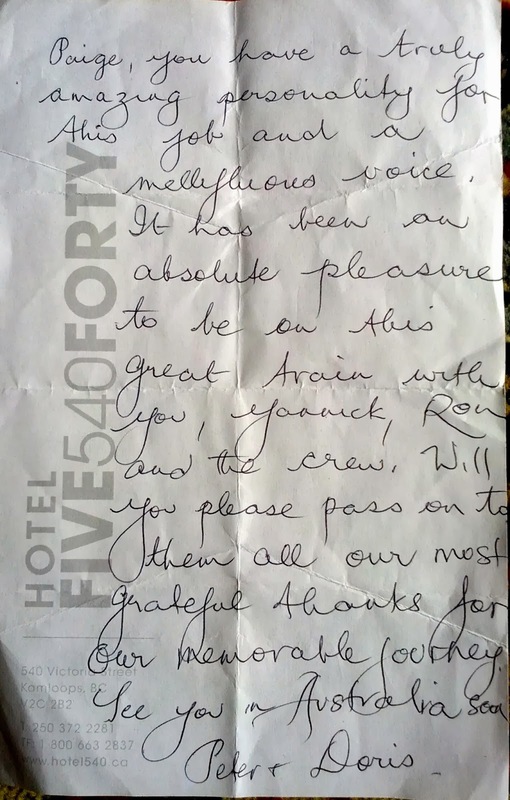 "Paige she is our leader, she sure can run a train..."
Paige has many hand-written notes pushed into her palm by very grateful passengers as they disembark. Tears have been shed by both parties during fond farewells. "Paige, you have a truly amazing personality..."
And how great is this? 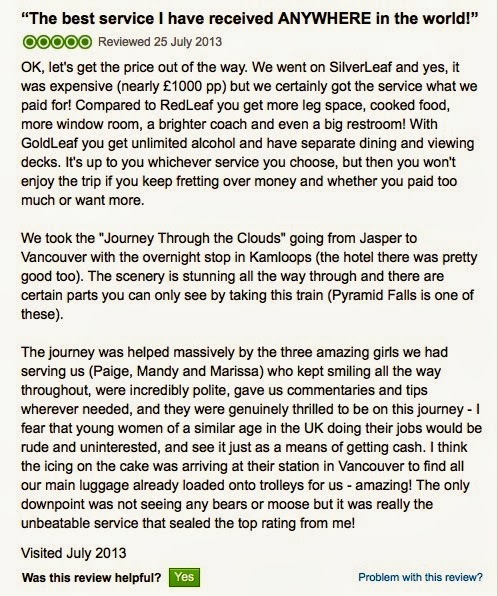 Mentioned by name in a passenger's glowing review on TripAdvisor?! I have always been extremely proud of Paige. But when total strangers instantly recognize those strengths, traits and qualities in her? That is when my heart swells. Paige, you do your mother proud.